This item is a special addition to enable on-line ordering for this item. Shipping on this item will be Monday-Wednesday and may vary due to weather conditions. Actual shipping charges may be applied separately and may differ from the calculated amount based on location. This is a great all-purpose light fixture for all incandescent light bulbs, ceramic heaters, and screw-in flourescent bulbs. 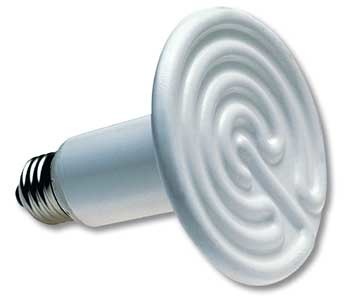 For use with higher wattage bulbs be sure to order the ceramic socket. Heat Dome 5.5 blk ceramicHeat Dome 5.5 blk clampHeat Dome 8.5 blk ceramic"Heat Dome 8.5 blk clamp"Heat Dome 10 blk ceramic"
A regular day bulb charges the night glow coating feature on the inside of the bell of this fixture. When the light is turned off, the bell will continue to glow for a night time luminescence. Cool! 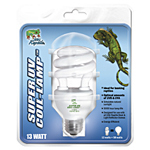 This is a well-designed light fixture perfect for many reptiles. The sturdy aluminum body withstands heat and includes extra plugs built right in for waterfalls, pumps, heat pads, etc. Choose the hood you want for use with incandescent light bulbs, ceramic heaters, and screw-in and pin flourescent bulbs. Got Mites? 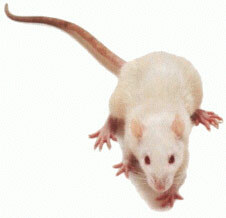 - Not anymore, Hands down the ultimate weapon against mites! Use strictly by the directions to eliminate external parasites. 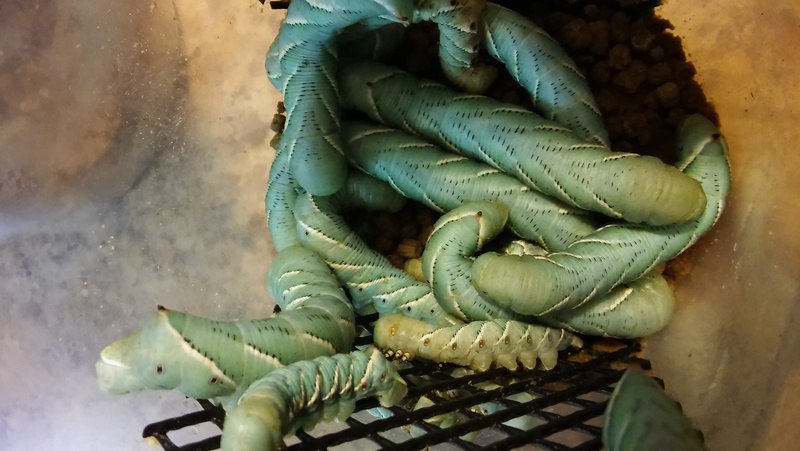 One application is effective for 30 days, breaking the vicious mite life cycle and saving your reptile! EcoEarth is made of coco fiber and creates an ideal substrate for terrariums. One "brick" expands to many times its size as it absorbs and holds water. 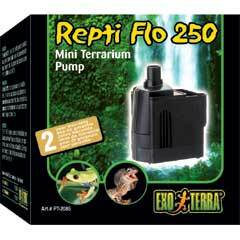 This tiny, powerful pump is just perfect to hide away in the bottom of your terrarium to circulate water, create a waterfall, or increase humidity. It can operate in as little as 1 inch of water. 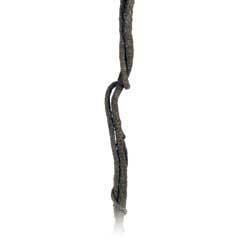 Add these realistic bendable vines to any terrarium for a real tropical rainforest effect. They are the perfect perch for your chameleon or forest dragon. Wind two sizes together for a true jungle vine appearance. 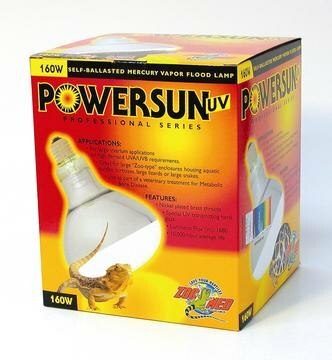 Energy-Efficient, Ideal for basking desert reptiles, Optimal amounts of UVB & UVA ultraviolet rays, # 5,000 hour lamp life, Designed for use with ESU Reptile Heat & Light Reflector Domes. 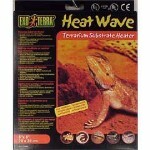 A combined source of heat and UV light, Ideal for basking desert reptiles, Iguanas, and more, Optimal amounts of UVB & UVA, Designed for use with ESU Reptile Heat & Light Reflector Domes. 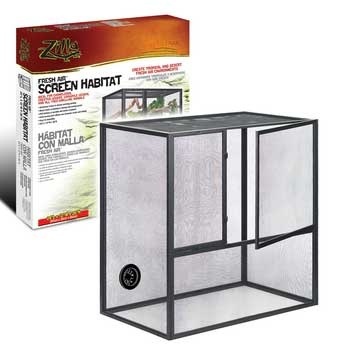 Sturdy aluminum frame with durable black mesh screening and water resistant PVC bottom. 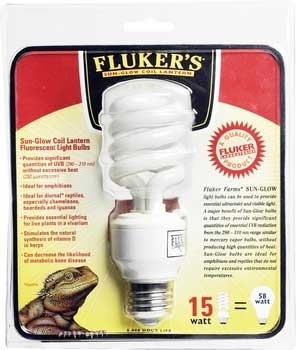 Essential equipment for most chameleons, appreciated by small water dragons, iguanas, and more. 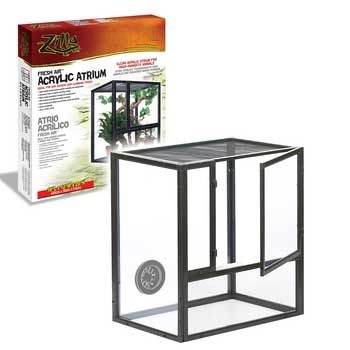 A similar enclosure to the Fresh Air Habitat, but constructed with clear acrylic sides to retain humidity. A perfect habitat for some of the tropical species of arboreal snakes, geckos, and other lizards. A great solution to the problem of maintaining high humidity for those rainforest species. This automatic misting machine is programmable to produce a fine mist into an enclosure at 1, 3, 6, or 12 hour intervals for a duration of 15, 30, 45, or 60 seconds at a time. 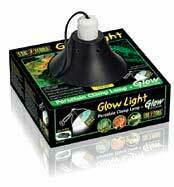 Great for frogs, chondros, leaf tail and crested geckos, chameleons, and more. Bark Blend is made of the natural ground bark of fir trees. 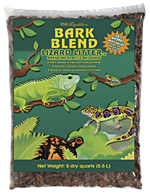 It is an ideal, natural ground cover for most lizards, snakes, amphibians, tarantulas, turtles and hermit crabs. Forest Floor is made of the pure Red Cypress mulch. It is a great, all natural ground cover for lizards, snakes, amphibians, tarantulas, turtles and hermit crabs that will benefit from higher humidity levels. Aspen substrate is an all natural, dust free, odorless product made from the shredded wood of aspen trees. 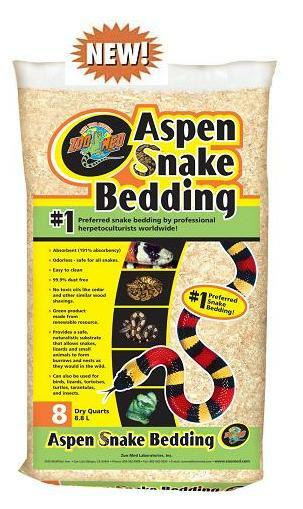 It is an ideal, natural ground cover for most snakes and many lizards, even tarantulas. Provides a secure hiding place in any environment, Stackable, Durable, Easy to clean. THESE HAVE BEEN DISCONTINUED BY THE MANUFACTURER AND WILL BE UNAVAILABLE UNTIL I CAN FIND A SUITABLE REPLACEMENT.